After the Power of Veto Competition, Brendon won the Power of Veto. Hayden’s original nominations were Brendon and Rachel. After winning the Power of Veto, Brendon chose to save himself by using the Power of Veto on himself. Hayden then nominated Annie in his place. Aparantly Annie called Britney out at the ceremony and the live feeds are very tense right now. 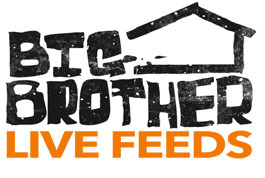 Now would be a great time to turn on your live feeds! Either Annie or Rachel will be evicted Thursday.